The 74th annual Lions Fish Fry on July 21st & 22nd in Eisenhower Park at the foot of the Pier is the single longest continuously operating, free to the public and non-profit fundraising special event that happens in Seal Beach. Presented by Republic Services and supported by the City of Seal Beach and Sun News as partners, the event is going to be better than ever! Starting on Saturday at 11 am to 7 pm, and on Sunday 11 am to 6 pm come and enjoy the Fish Fry. This year The Lions have been working hard to make this year collaborative with the Centennial of Lions International. As we move beyond the centennial year in 2017, and the current 79th year for our Lions club, it is worth noting why do the Lions produce this event? Even more importantly, why should you attend? In 1917, Melvin Jones, a 38-year-old Chicago business leader, asked a world-changing and straightforward question – “what if people put their talents to work improving their communities?” With this question and some vibrant leadership, almost 100 years later, Lions Clubs International is the world's largest service club organization. Our "Pride of Lions" is 1.45 million members in more than 46,000 clubs and countless stories of Lions acting on the same simple idea: let's improve our communities. 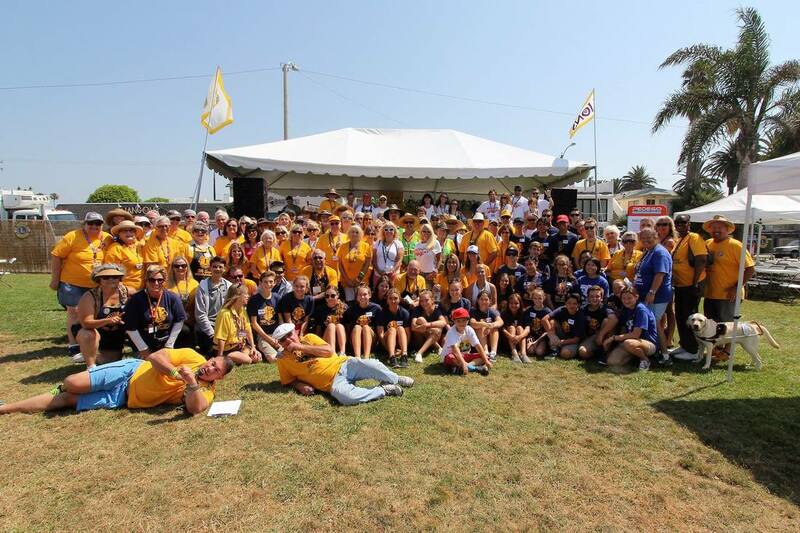 Did you know the Seal Beach Lions Club is the most massive club in the Western hemisphere? We are the tenth largest club in the world, beaten only by clubs in India and China. That is nearly unbelievable considering how relatively small our community is. We give back to our community in events, scholarships and donations almost $100,000 per year. Some examples are: the Marcia Haley & Nancy Grgas Scholarship Funds, supporting the Seal Beach Classic Car Show with our Pancake Breakfast, MCing and providing support to the Christmas Tree Lighting, California Lions Friends in Sight (CLFIS) vision screenings and eyeglass distribution, meals at the Ronald McDonald house for residents, support for all of our veterans through gift packs and support of the VA, developing leadership in our five Leo’s programs, producing and enhancing the Arts & Crafts Faire as part of the heritage of Seal Beach. We could go on and on, but you get the idea. In 1925, Helen Keller addressed the Lions Clubs International Convention in Cedar Point, Ohio, USA and challenged Lions to become "Knights of the blind in the crusade against darkness." With that challenge, Lions all over the world have become the tireless advocacy and aid agency for the blind and visually impaired. The Seal Beach Lions have become particularly active in this area lead by Lions Cathy and Scott Newton, former Queen of Hearts Adrianna Zigenbusch and her husband, President Ryan Zigenbusch. Just last year alone, our Lions club has processed and helped at sight clinics over 10,000 people, from Mexico throughout California and even in our town of Seal Beach. Fish Fry events have been a staple of many community organizations, and notably the Lions from coast to coast. For Seal Beach, the Lions produce many functions, but it is the Fish Fry that the Lions ask our community to give and attend. This year’s co-chairs Mike Haley and Scott Newton have produced considerable improvements in flow for the food and beverage lines. This year, there may be a few of Car Opportunity Drawing tickets available on Saturday morning for the Subaru Crosstrek as the lead prize, with a MacBook Air, a Pedego electric bike and Apple Watch for the opportunity drawing. In 1951 Lions club secretary, Buell Brown wrote the club minutes, "It is the only event of the year that brings the people of the town together for a good old fashion visit, and that one item make our Fish Fry a truly worthwhile Lions activity. The Fish Fry has never been operated with the idea of making any money, just friends, yet it has never failed to pay us for our effort, with a nice sum for the treasury." Lunch that year was a dime. Whole dinners have gone for a bit more now, but it is still a great value. Be sure to thank a Lion too. There is always room for one more Lion as well in our club! Attendance is free and there is band entertainment, a continuous merchant opportunity drawing, sponsored by the Seal Beach Chamber of Commerce. We hope you will buy some food and drink (please don’t bring your own) and enjoy the event. So be sure to come down on to the Fish Fry and enjoy music, some age-appropriate beverages, fish, hot dogs or brats and the best of Seal Beach’s laid-back community feel. Be sure to carpool too, it is a great way to avoid filling up all that parking on residential streets. See you there! We meet on the 1st and 3rd Wednesday of the month at the Seal Beach Yacht Club in Long Beach (2nd Floor).